This year's Lollapalooza weekend was certainly a roller coaster: There was the apocalyptic rainstorm that shook the area and required a park-wide evacuation on Saturday, for one. 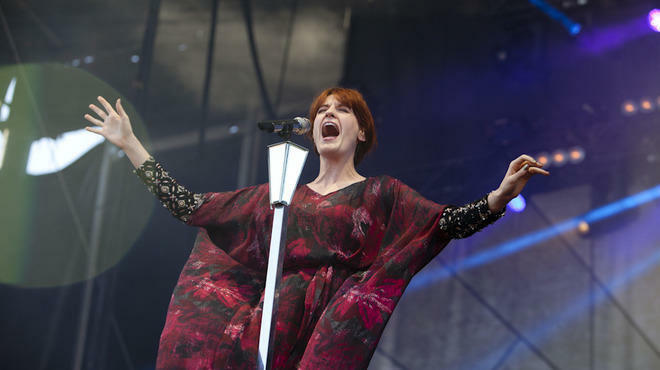 But post-monsoon, the sun came out and throughout the next 24 hours, we were graced with going-down-in-history-epic-Lolla performances from bands like Florence + the Machine. Bands were rescheduled, bands were cancelled, bands turned up out of the blue—but whatever happened behind the scenes, the party kept going. Here are links to all of TOC's coverage from the big event—more than 30 bands each day of the fest, plus slideshows of great t-shirts we saw people wearing at the fest, images from the big evacuation and more.